Edward Tuorinsky is the Managing Principal of DTS, a Service-Disabled Veteran Owned Small Business, that provides information technology and management consulting services in the areas of program management, governance, strategic planning, organization advancement, business process efficiency, software development, system integration and learning enhancement solutions. Our functional area focus is in human capital management, federal financials, logistics, federal health care, and acquisition. DTS works exclusively with the federal government and has contracts with various agencies including the General Services Administration, Department of the Interior, Defense Logistics Agency, State of Maryland and the Defense Health Agency. As Managing Principal, Ed oversees all corporate strategic and day-to-day activities of DTS, including finance, target selection, strategic partnerships, client engagement, business development and policies. He also provides key subject matter expertise to his client engagements and ensures that his team members are providing superior customer service. After earning a bachelor of science from the College of William and Mary in 1997, Ed served as a Logistics Officer in the US Army. His military duties included coordinating and supervising worldwide deployments, trans-shipping of break-bulk and containerized cargo at fixed ports or unimproved logistics-over-the-shore sites via air, rail, highway, and sea. 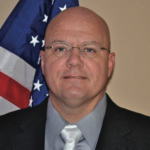 He is recognized for his leadership efforts to set-up, implement, and operate Radio Frequency Identification (RFID) logistical tracking applications. 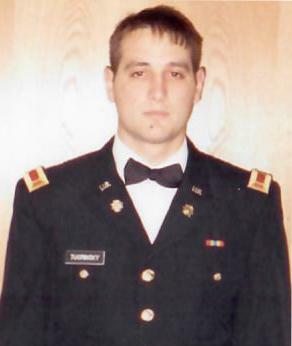 His service included assignments in CONUS, Germany, Korea, and combat operations in Kosovo. 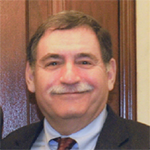 After completing his military service, Ed moved to the Washington DC area to commence an extensive seventeen-year career in government consultancy. Prior to forming DTS in 2011, Ed headed the professional services divisions of two large federal government contracting firms. 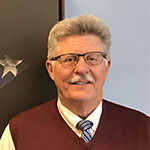 Ed’s vast industry and leadership experience ensures that the organization is running at optimal capacity to maximize profitability and revenue growth, as illustrated in his management of multi-million-dollar project portfolios, with billions of program dollars at stake, and also in his management of DTS. An accomplished businessman, Ed has demonstrated an unwavering commitment to corporate social responsibility. Ed and DTS sponsor diverse programs that support veterans, the environment, and local community needs, including the Wounded Warrior Project, World Wildlife Federation, and Arlington Chamber of Commerce community service projects. Ed has been an active member of the National Veteran Small Business Coalition since February of 2016. Ed has also been recognized as a published author. 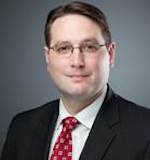 He co-authored Wide Area Workflow Helps U.S. Navy Modernize Receipt and Acceptance Process for Defense AT&L in 2007 and is currently drafting a book on Government Consulting methodology.